Cast bronze. Meets requirements of USCG safety standards. Hose: 1-1/2"Length: 2-1/4Pipe: 1-1/2" NPT.. Cast bronze. Meets requirements of USCG safety standards. Hose: 1-1/4"Length: 2Pipe: 1-1/4" NPT.. Cast bronze. Meets requirements of USCG safety standards. Hose: 1"Length: 1-3/4Pipe: 1" NPT.. Cast bronze. Meets requirements of USCG safety standards. Hose: 1-1/2"Length: 6"Pipe: 1-1/2" NPT.. Cast bronze. Meets requirements of USCG safety standards. 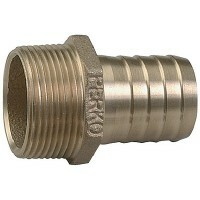 Hose: 5/8"Length: 1-5/8Pipe: 1/2" NPT.. Cast bronze. Meets requirements of USCG safety standards. Hose: 2-1/2"Length: 4Pipe: 2-1/2" NPT.. Cast bronze. Meets requirements of USCG safety standards. 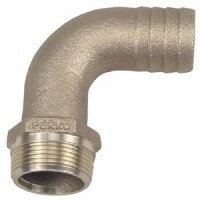 Hose: 2"Length: 2-5/8Pipe: 2" NPT.. Cast bronze. Meets requirements of USCG safety standards. Hose: 3/4"Length: 1-3/4Pipe: 3/4" NPT..
Vetus, 1/2" To 1 1/2" Hose Adapter, HA1338..
Vetus, 2 1/4" To 1 1/4" Hose Adapter, HA3060..
Vetus, Brass Hose Connectors, HS1031MS..
Vetus, Hose Connector 1", RT25B..
Vetus, Right Angle Hose Connectors, HS1037MS..